This past summer’s intense heat and lack of rain have ravaged many of our nation’s crops. Homeowners, too, have seen their lawns, gardens, and plants withered by the drought. 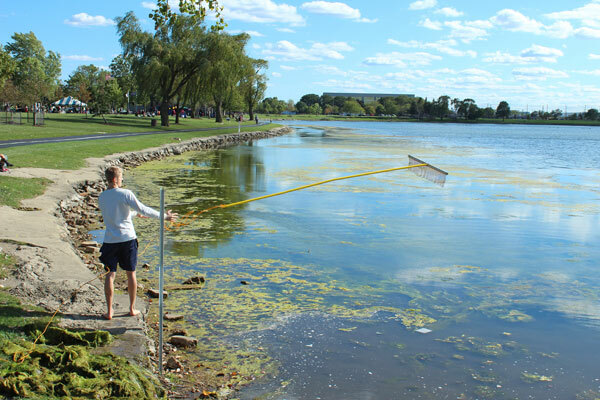 As temperatures soared, ponds, rivers, and lakes experienced a rise in water temperature and substantial evaporation. 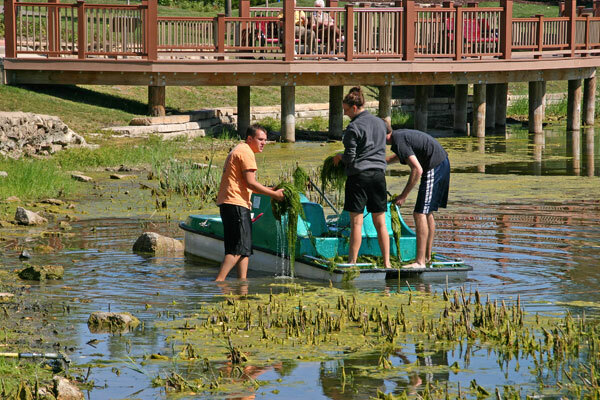 The effects of the drought are evident at Lake Opeka where water levels have dropped significantly and the usually submerged aquatic vegetation is readily visible above the water line. 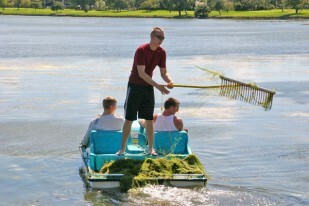 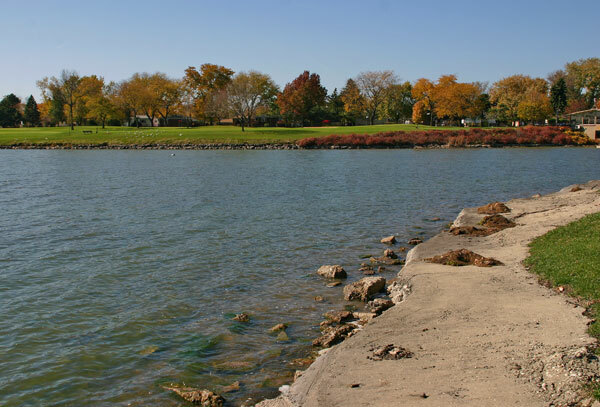 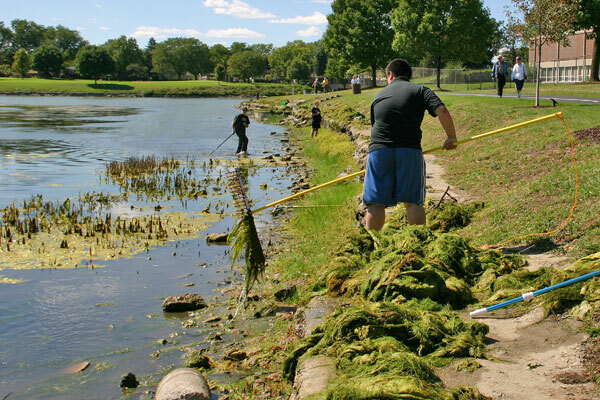 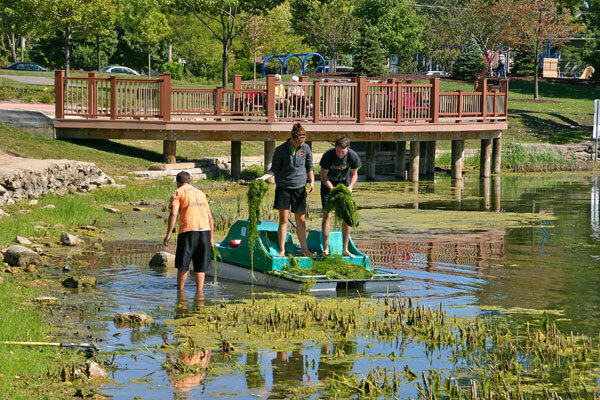 One such plant, the native slender naiad, (Najas flexilis), has been growing at such an alarming rate that it has become difficult for the Des Plaines Yacht Club, and other recreational boaters, to safely navigate the lake. 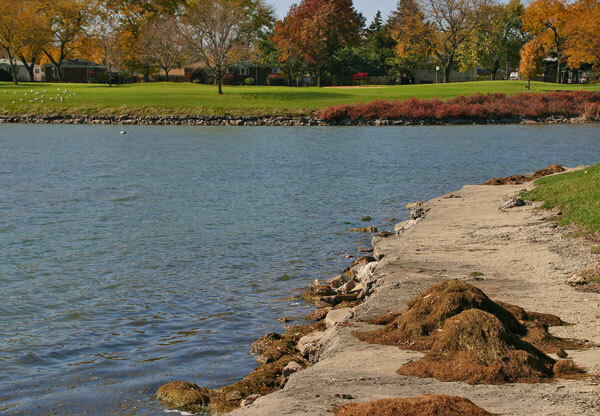 In addition, an excessive amount of filamentous algae has attached itself to the naiad along the shoreline in large floating masses. 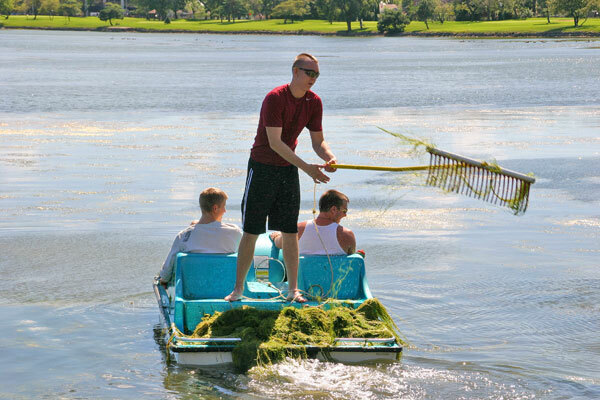 Filamentous alga cells join to become long chains or filaments that intertwine and form a mat on the surface of the lake that resembles wet wool. 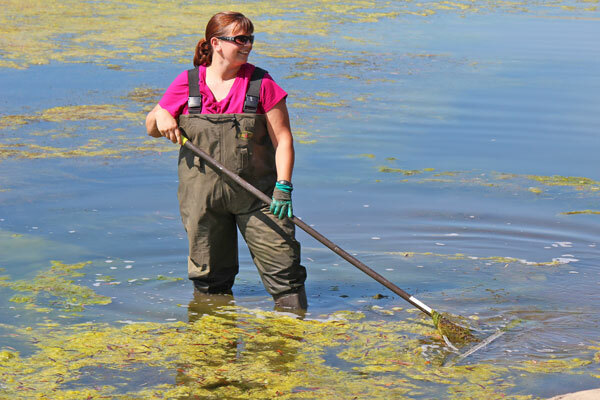 Commonly known as pond scum, the algae has no known direct food value to the lake’s wildlife. 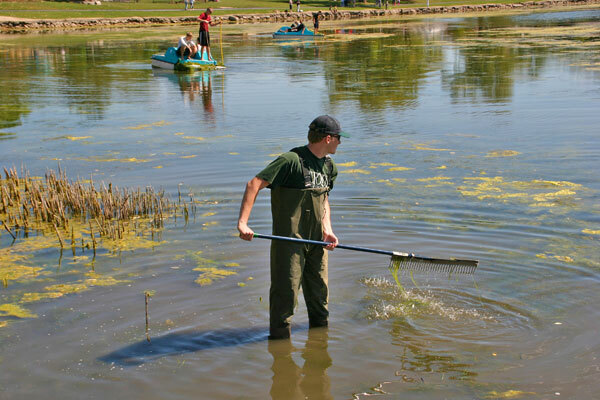 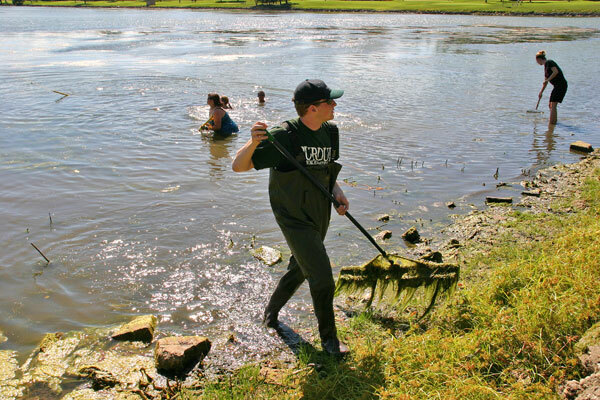 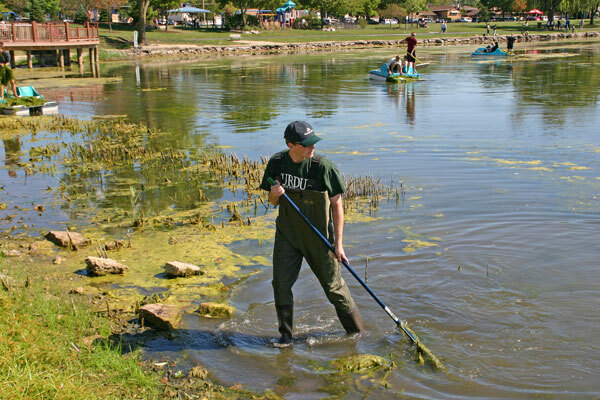 Dr. Trueman and her students have spent over 460 man-hours removing the submerged and surface vegetation. 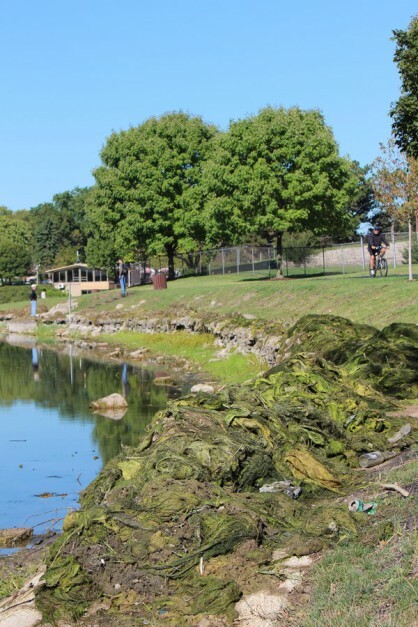 “The growth of these native plants are an indication of the Des Plaines Park District’s excellent ecological management of their adjacent Lake Park Golf Course, in addition to the lack of precipitation,” Trueman said. “Beyond the beautification of the lake, the students are learning skills germane to the course of their study. 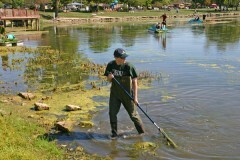 They are also a great example to the community of the value of a science based education,” she said. The effects of the students’ efforts are readily visible. Along the north and east edge of the lake, the shoreline is clear of plant life. 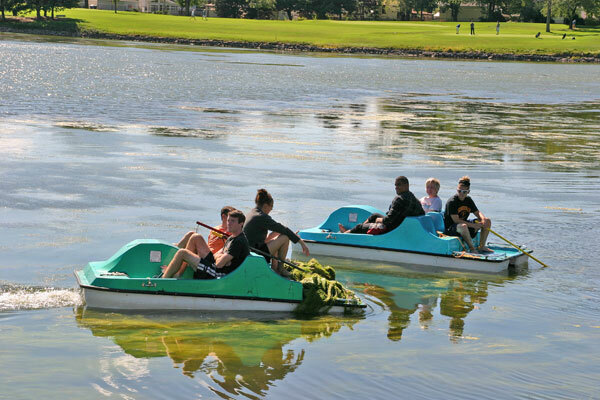 The students will continue around to the southern end, weather and school schedules permitting. 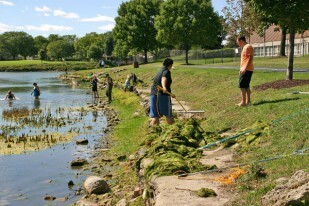 “This project is a wonderful example of how community expertise can bring about positive change,” Cathey concluded. *Read more about the Prairie Lakes Community Center Ecology Project. 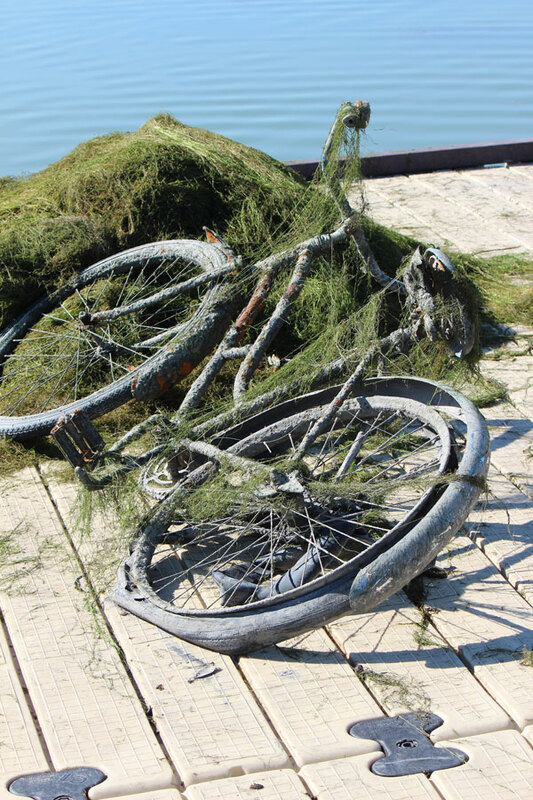 In addition to removing plant life, the students retrieved an old bike from Lake Opeka. Students from Concordia University extract the native, submerged slender naiad from Lake Opeka. 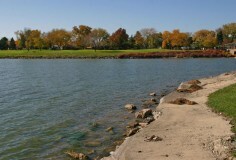 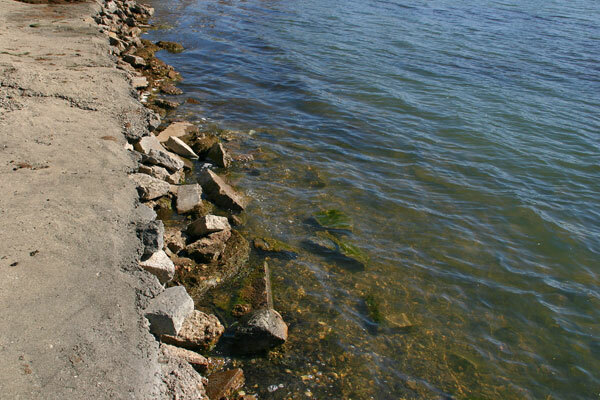 The cleaned shoreline on the north end of Lake Opeka.